“Would I be called a Grinch if I admitted I didn’t like Ting Tong Belles?” I asked Vanessa after we caught Dream Academy’s annual Christmas show, “Crazy Christmas Ting Tong Belles”, at the Esplanade Theatre. I’m not a hater – most of my friends know I’m incredibly supportive of Dream Academy’s productions. In fact, I caught a Crazy Christmas show at the Drama Centre some years back and I loved it so much, I had to tell Sebastian Tan in person that his Hokkien-speaking reindeer was my favourite! But there was something about this year’s Crazy Christmas that didn’t quite click with me. Actually, make that a couple more. I question if the Esplanade Theatre is the right choice as venue. Although the size of the theatre may help with ticket sales, I felt as if its immense space disperses the energy from the stage rather than amplifies it. No matter how hard the cast danced, sang and joked, the sense of distance and detachment never quite went away. This was especially apparent during the one-man/woman skits. The theatre and the stage seemed to “swallow” up the performer, making it difficult for the audience to “get in with their jokes”. While she shone as a shy sin-seh who dishes Who’s There jokes like the best of them, Judee Tan’s Katarina Claus skit was painful and way too melodramatic for me to find it funny. Playing on the Singaporean stereotype of an Ah Lian who marries an ang moh with little idea what he does or where he comes from, the what-felt-like-a-15-minute one-woman skit had so much wailing, I found it too grating and exhausting to sit through. The jokes are not new either – recycled stuff like Tan mistaking Santa’s “North” for “Upper Thomson”, like how she thinks the name of a local supermarket is that of a luxury brand … – and therefore had the effect of making this entire routine tired and contrived. I enjoy the occasional jibe at local politics and social issues, I appreciate the humour and the word-play, BUT for this installment of Crazy Christmas, I found there was too much of it. In moderate doses, I have always found satire hilarious. However, this time around, I found it a case of too much of a good thing and many of the lines end up falling flat (Pam Oei’s Partridge In A Pear Tree routine was filled with them). However, Crazy Christmas Ting Tong Belles did have quite a number of bright sparks too. Kumar’s rountine was strangely entertaining and heart-warming – something I had not expected. Denise Tan, the newest Dolly, delivered as usual and she did not disappoint with her exuberance and great sense of comic timing. Her impersonation of Beyonce was a laugh-a-second, perfect 10 effort! The Who’s There jokes were all very, very well delivered and had the effect of warming the audience to the cast – Vanessa burst out laughing at all of them. Although it was enjoyable and lighthearted, I had expected better because they have been doing Crazy Christmas for so many years now. Many members of the audience were tickled pink and laughed out very boisterously at all the jokes so I believe you would not be disappointed spending an evening at the Esplanade with your family and friends watching it. For me, I shall look forward to Dream Academy’s next production, Happy Ever Laughter, and, hopefully, the jokes will be fresh and new then! Material World was invited to review Crazy Christmas Ting Tong Belles by Dream Academy, all opinions are the author’s own. Crazy Christmas is on from now till 22 December 2013, and tickets are available on Sistic. 1. The Woman In Bla … HACK! A fragrance make for a great gift because of the intimacy it invokes – everybody has their personal favourites when it comes to scents. What better way to show your BFF how well you know her by selecting a fragrance that best represents her personality and preferences? 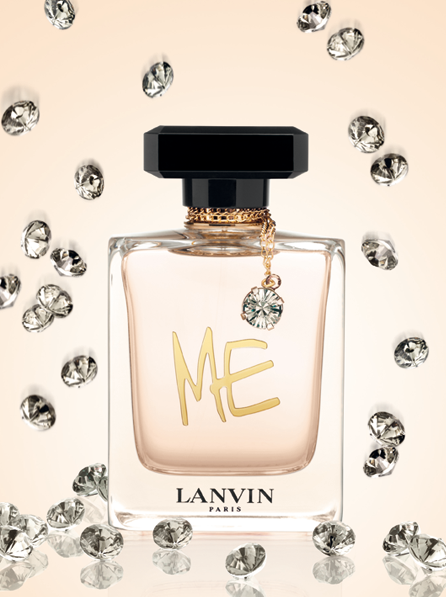 Today’s giveaway is a decidedly feminine scent from Lanvin, and designed by acclaimed Israeli designer, Alber Elbaz. Created with the sophisticated woman in mind, this floral fragrance has a subtle sensuality in its notes that’s intoxicating. 1. 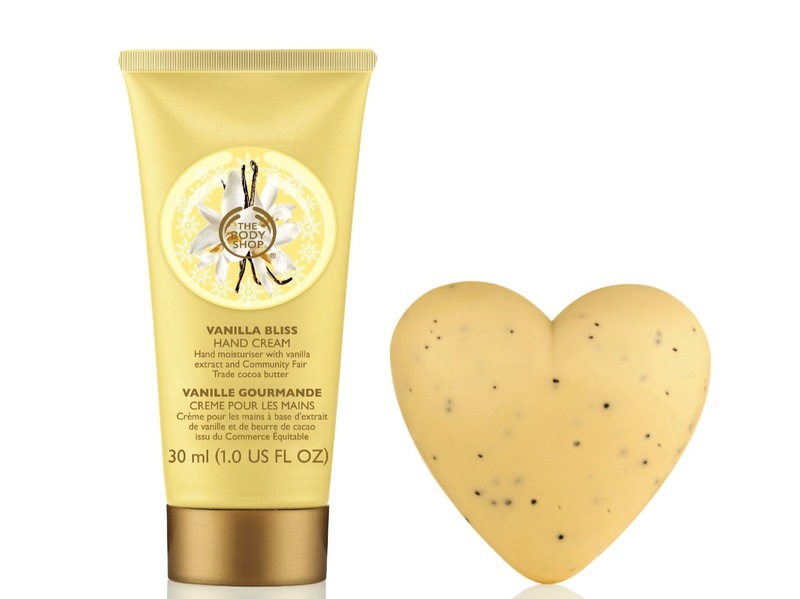 The rich notes blend seamlessly together to produce an almost cream-like scent. 2. The beautifully designed bottle – with its heavy glass, gold chain and blue-toned gemstone – will stand out on any vanity table. 3. Women who love sweet-smelling perfumes will love the syrupy scents of the blueberry and licorice notes. 4. 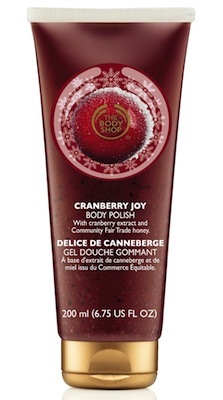 Its bright, fruity notes make it a great scent for daytime wear. 5. The fragrance sits on your skin for several hours, which means you don’t have to keep re-spritzing throughout the day. Your independent, free-spirited friend who’s always been known to “march to the beat of her own drum”. She will love the uniqueness of the blueberry and licorice notes. So win this bottle of Lanvin Me for your friend! 2. Complete the Sweepstake Form below by clicking the banner. Invite your friends. If they join up as followers of our Facebook Page, you get EXTRA 5 CHANCES! This contest is open until December 1, 2013. You can take part as many times as you like. Winners will be picked after we achieve 8,000 Likes on our Facebook Page. Only followers of Material World’s Facebook Page are eligible to win. There seems to be something about the festive season that makes people feel more lovey-dovey. The weather is cooler, people are more relaxed and there are many parties to attend! In fact, I won’t be surprised if more people get coupled up during this period than any other time in the year. 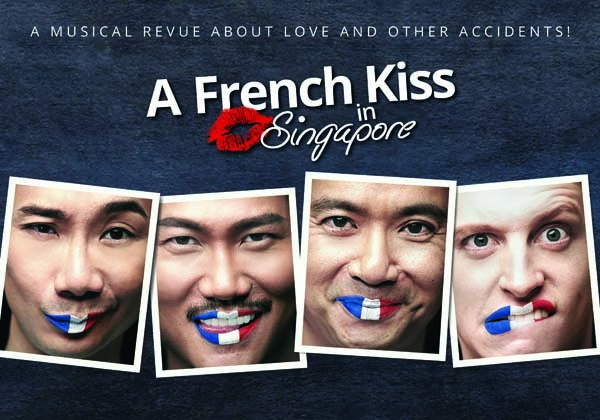 A French Kiss In Singapore is a musical revue that explores love in all its curious forms – from the love between mother and son to even the love between drinking buddies. Combining singing, dancing and sketches, this production stars local theatre stalwarts like Hossan Leong and Robin Goh, and is brought to you by the same team behind the sold-out musical “A Singaporean In Paris”. What can theatergoers in Singapore expect from this production? Hossan Leong, Linden Furnell, Robin Goh and myself will be singing, dancing and charming our way into your hearts. This is a fresh collaboration that we are all excited about. Bang Wen Fu who created wonderful musical arrangements for shows like Forbidden City and Lao Jiu: The Musical will be helming the role of musical director. And I will be cracking the whip as dance choreographer. Humour can be very particular to a certain culture, and may not translate well in another language or culture. How do you ensure the comedy in the production is universal enough to be appreciated by a wide audience? I have directed many episodes of The Hossan Leong Show and most recently Kumar’s one-man show at the Esplanade. Even the humour between these two comedians are very different, so the writers and I always consider our audiences before creating the productions. No difference here. Were there any funny or touching moments you and the team had during rehearsals? This is the third theatre show I am working on with Sing’theatre. The late Emma Yong was in the last two productions with me and we had such a blast working together and learning French. I must admit, she was very much on my mind during the creation of A French Kiss In Singapore. One of the numbers in the show has been put together just for her and I am looking forward to sharing it with my fellow cast members and the audience. Without giving too much away, tell us which is your favourite scene of the entire production and why? It is a song written by Serge Gainsbourg called ‘I love you … me either’. It was sung by Gainsbourg himself and his then-lover, Brigitte Bardot. It caused quite a stir when it was released in 1967 because rumors were flying about that there was “heavy petting” going on in the recording booth. We will be presenting our own naughty version of the song and let’s just say there will be unbuttoned shirts and Hossan Leong doing his best moan! 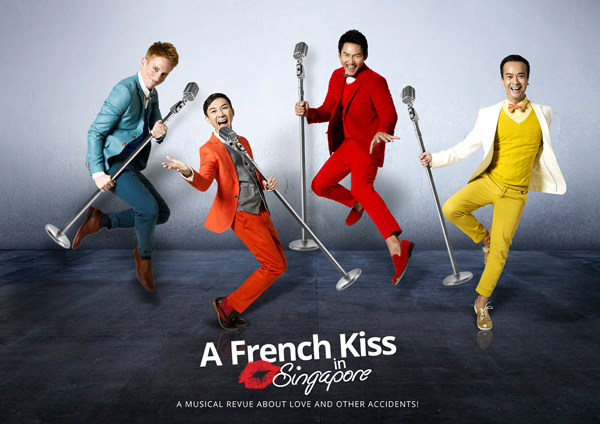 We are giving away SIX PAIRS of tickets to the opening night of A French Kiss In Singapore worth $3,000! 2. Share this post on Facebook with your friends, and tag the friend you would invite to enjoy this production with. Remember to tag Material World’s Facebook on your post. 4. Private message us your details – name, age, gender, NRIC, and email address. State “A French Kiss In Singapore” in your message. Contest ends November 18, 2013, Monday. Good luck! 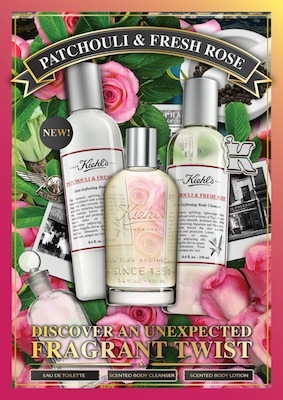 Today’s giveaway is the newest Aromatic Blends EDT from Kiehl’s – Patchouli & Fresh Rose! 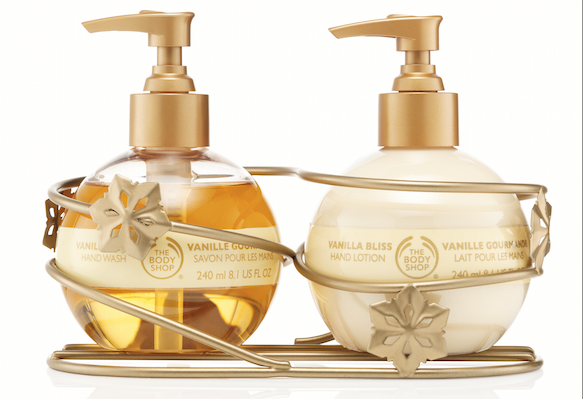 The Aromatic Blends products are formulated using natural ingredients sourced sustainably. As with all Aromatic Blends, the Patchouli & Fresh Rose EDT is crafted with 1/3 fewer ingredients than traditional fragrances, resulting in the purest scent expression possible. The two-step extraction method used is labour intensive, resulting in an aroma that is closer to that of an actual living Rose flower. Unlike traditional Patchouli that is dense, this one has a more vibrant woodiness to it, with a slightly sweet edge. The cultivation of this Patchouli helps provide year-round employment to a small Brazilian community. 1. The fresh rose note is unlike what you’ll find in other rose-centered fragrances. It stands out without being overly floral and sweet. 2. It is a clean fragrance. You do not get a complex play of other notes. It’s unmistakably rose. 3. The patchouli grounds the scent in a light woodiness without weighing it down. 4. Delicate yet unforgettable, you’ll find yourself repeatedly bringing your wrist up to your nose to get a whiff of the rose scent. The hopeless romantic whose idea of a perfect wedding is a chapel decorated with thousands of roses. 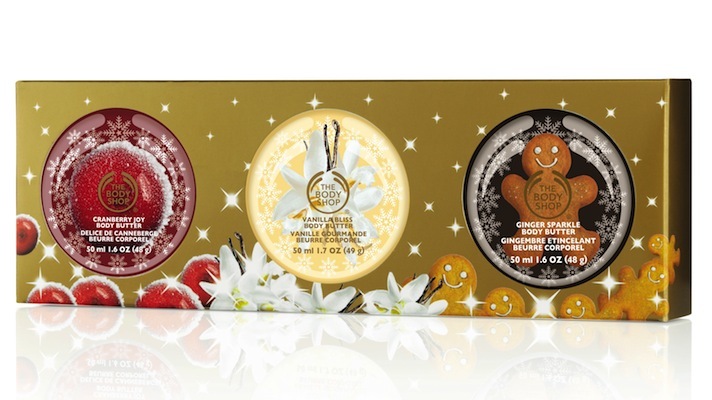 WIN THIS SCENT FOR A FRIEND! There is no better way to make an impression and score some brownie points by giving someone you care about a bottle of divine, heavenly perfume that invokes memories of the good times you both have spent together. 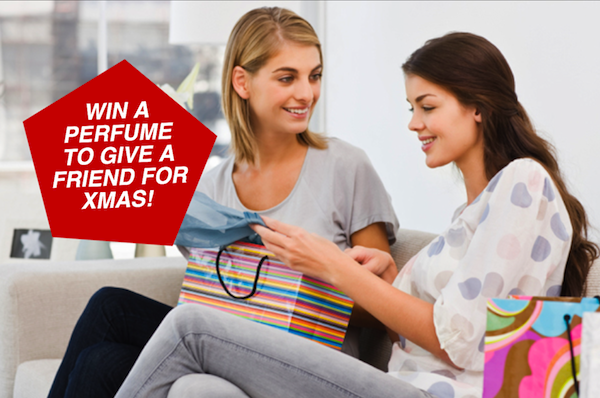 Kicking off our contest is a bottle of Untold Eau De Parfum from Elizabeth Arden! 5. A great scent to wear to the office and even for a romantic night out. 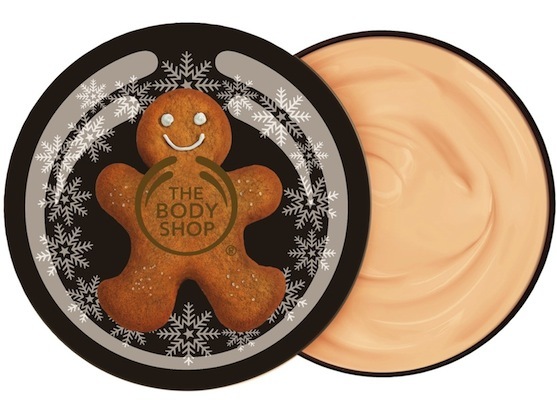 Most guys will appreciate how subtle and how powdery-fresh Untold actually mellows down to. The girlfriend who wants to be taken more seriously at work. She is career-minded and has told you she has her eye on that juicy promotion next year. 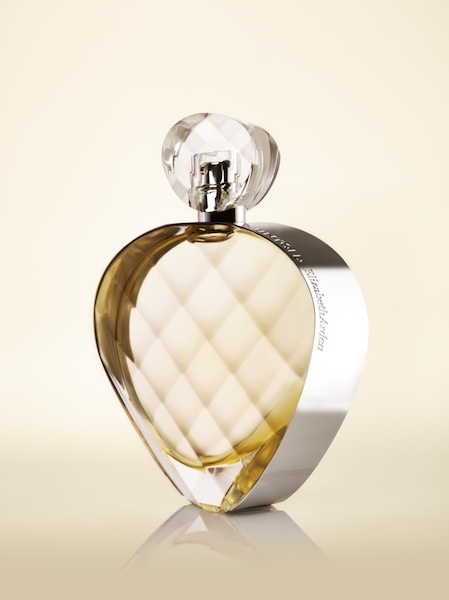 So win this bottle of Untold EDP for your friend! 3. 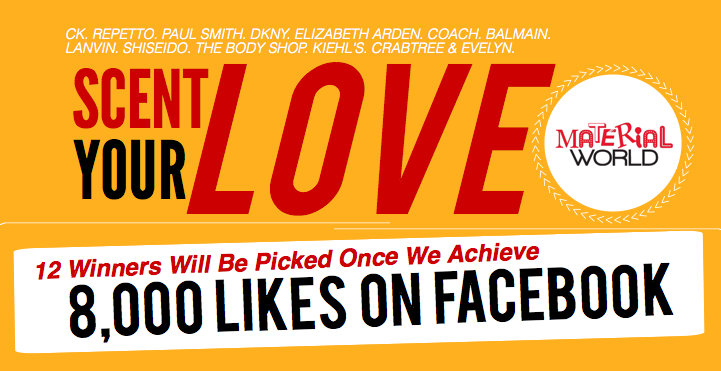 PM your details (Name, NRIC, Gender, Email Address) to us with “Scent Your Love: Elizabeth Arden” in the message. 4. Invite and encourage your friends to follow Material World on Facebook. Once we achieve 8,000 Likes , we will pick the 12 winners of this contest. Help us achieve this by 1 December, 2013 so we can give your friend the prize by Christmas!